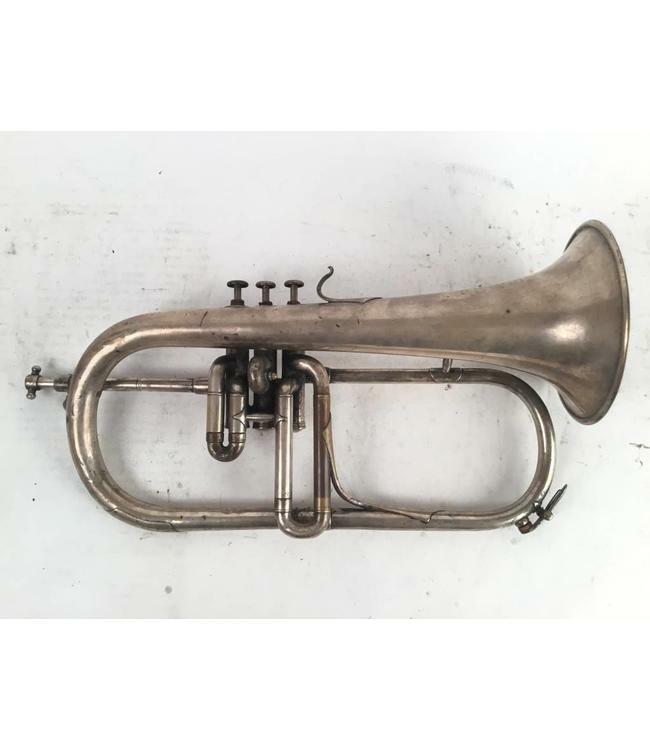 Used Besson Brevette Bb flugelhorn in silver plate/raw brass. Pre-War. Overall fair condition with wear throughout. No Case.